Or first read about the myths and benefits of coaching over on my Purchasing Coach blog. Whilst thinking of a situation you’d like more clarity on or for it to be transformed consider which of these 6 images are you drawn to? Once you’ve decided, see below for some coaching questions from nature - ie different questions from each image. Just answer the questions for the image you picked, or explore them all, or think about what insight or questions you imagine the image might be asking you. Image 1: What can you do now to bring more joy and beauty into your life, to allow the mist to clear? Where are the green shoots of opportunity showing themselves? Image 2: In what way have you isolated yourself from others, How can you become more connected with humanity and the planet? Where is your tribe? How can you spend more time with your tribe? Image 3: What can you do today to be more grounded? Whether that’s via physical movement, the foods you eat, people you spend time with, books you read, programmes you watch or visualisation used in your daily meditation. What one action in the past has enabled you to take your head out of the clouds and ether, and to come back down to Earth and take part in daily human life? Image 4: What one thing (however small) can you do today to move you towards your goal? No getting lost in the confusion - just one small action. No excuses. No delay nor further procrastination. No ifs buts cants. One action you can take now. Nothing more is needed until you’ve taken that one action. Image 5: Do you need to zoom in or out - ie are you focusing too much on the detail and not enough on the big picture, or vice versa? How can you release the current perspective to shift to the other? Image 6: What needs to be cut down? What is no longer serving you and your goal? How can that be chopped down and released from your life? As you reflect on your answers to these coaching questions from nature what action can you take today to get more clarity or to make progress on the situation? 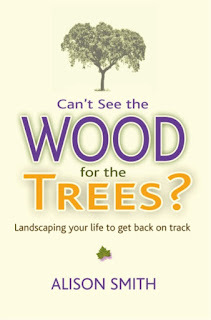 This is just one example of how Landscaping Your Life uses nature as your coach to get you back on track in your life. Explore this blog for more posts sharing many different tools using nature to get you back on track. 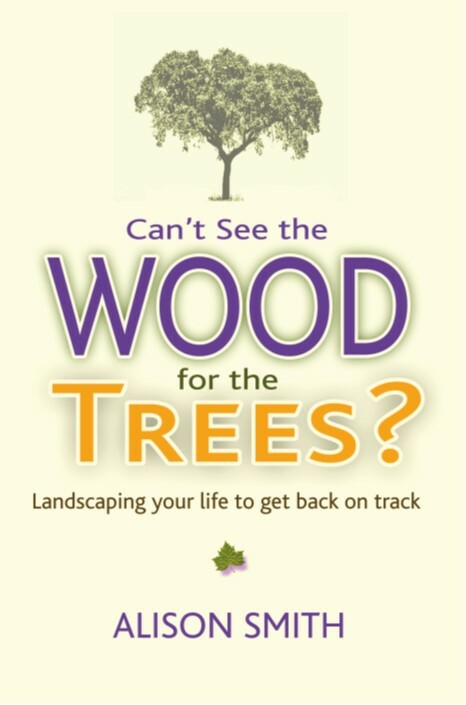 Of course you could also buy the recently published Can't see the wood for the trees which shares many Landscaping Your Life tools and applies them to well known sayings we use when we're stuck e.g stuck in a rut, can't see the wood for the trees, up the creek without a paddle, going round in circles, missed the tide, out on a limb, treading water, like a fish out of water and so on. One reader recently described it as a first aid kit for the mind after simply reading one chapter and following the process outlined there. To find our more about the book why not listen to recordings of interviews with Alison - each exploring a different aspect of the book as it relates to the radio show's audience and the interviewer themselves. Landscaping Your Life (LYL) uses nature as our coach, and her landscapes as metaphors for our lives to help us release the blocks to achieving our goals, because sometimes logic gets in the way and a more creative and metaphorical mindset is what is needed. 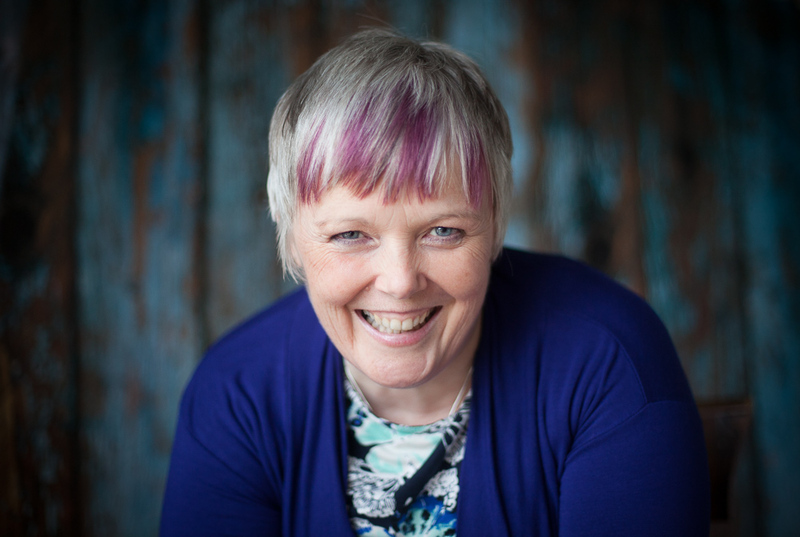 Landscaping Your Life (LYL) is just one of the unconventional tools Alison Smith uses in her work to support individuals, teams and organisations in understanding the patterns that are stopping them achieving their goals.